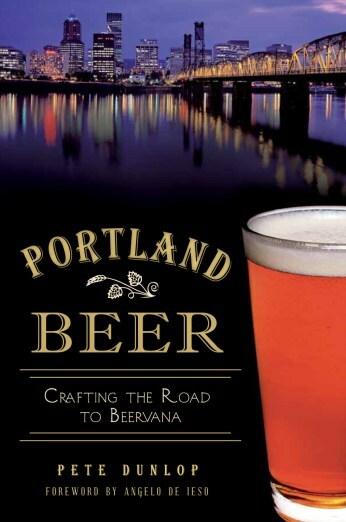 The first book to cover the history of beer and brewing in Portland will be officially released at The Commons on Saturday, Sept. 28. The event is open to the public and will run 2:00 to 6:00 p.m. The book narrative opens in the 1850s and runs through contemporary times. The heart of the story is the craft revolution that began here in the 1980s and continues to this day. 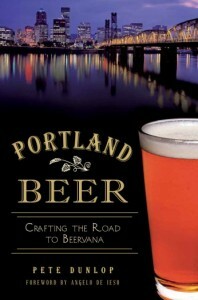 Author Pete Dunlop has observed the Portland beer scene for 25 years and based the work on extensive research and interviews. The book contains numerous photos of locations, individuals and artifacts from Portland’s recent and not-so-recent past. Dunlop and Angelo De Ieso (founder of Brewpublic.com), who wrote the foreword, will be at The Commons on the 28th to mingle and discuss the project. Books will be available for purchase and to be signed. Anyone who purchases a book online or from a local retailer (official publication date is Sept. 24) is welcome to bring it to The Commons for signature. The Commons is a small brewery inspired by European brewing tradition and Northwest ingredients. Coming up on its second birthday, The Commons has gained a following for its simple, refreshing European inspired beers. They will have standard and seasonal beers on tap for the event and may be pulling something special from the cooler.